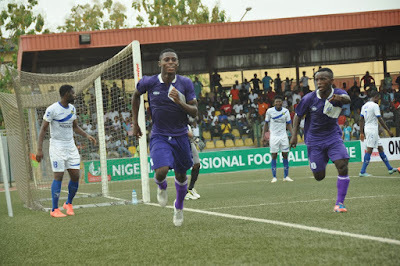 MFM FC teenage striker, Stephen Odey has told mountaintopfc.com that they are ready to engage Warri Wolves in Wednesday's NPFL clash billed for Wednesday. The game, a Match Day 31 fixture will be played at the Agege Township Stadium in Lagos. Odey who has scored eight goals for MFM FC in his debut season in the NPFL is oozing with lots of confidence ahead of the midweek tie and believes his side will overpower the Seasiders. “Our game against Warri Wolves is going to be a difficult match considering our positions on the league table but I believe in the abilities of my team mates. “Wolves were lucky to edge us in the first leg with a one nil win. 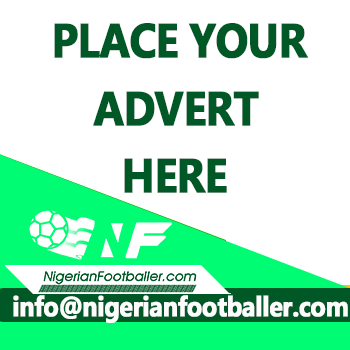 We are prepared because we don't want a repeat of what happened in the reverse fixture so we are ready for them with one thing in mind which is to garner the three points at stake,” Odey said. Two points separates the two teams on the NPFL log with MFM FC claiming the 13th spot with 36 points while the visitors sits on 17 position on table with 34 points.